A selection of high quality original sealed womens packaged perfumes by well brand names such as Al Haramain, Rasasi & Swiss Arabian. The Feminine Eau de Parfum called Blue Lady comes with a free deodrant. A great oud perfume spray for women by Oudh Al Anfar. 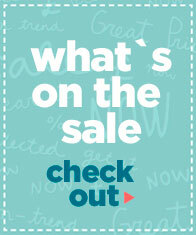 A superb perfume spray, perfect as a gift for someone special. 30ml Arba Wardat perfume oil for women by Rasasi. 95ml Abyan Spray Fragrance for Women by Rasasi. Ruh Al Teeb has been carefully made by Rasasi for the elegant and sensual woman. Kashka by Swiss Arabian is a feminine perfume oil which embodies style and sensuality. Mumtaz is classical Indian Oriental perfume for women by Al Haramain Perfumes. Undoubtedly the most popular perfume oil by Rasasi in the west called Amber Oudh. Faith fragrance spray for women by Al Haramain Perfumes. 70ml of Arba Wardat Eau de Parfum for women by Rasasi Perfumes. 15ml Al Ward Al Musk for Women by Rasasi. Maysoon CPO for women by Swiss Arabian Perfumes. 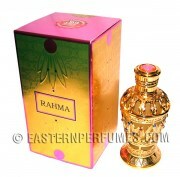 20ml Rasheeqa for women by Swiss Arabian Perfumes. 50ml of olfactory pleasure in Busaina EDP for Women by Rasasi. Maisam is an oriental perfume oil for the professional and composed woman. 18ml Shadha CPO by Swiss Arabian Perfumes. 20ml Noora CPO by Swiss Arabian. 100ml Daareej spray for women by Rasasi Perfumes UAE. Sahar is for the sensual woman who adorns herself for her loved one. 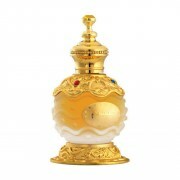 Romance is a classic oriental fragrance for women by Rasasi perfumes. 15ml Sonia perfume oil for women by Rasasi. 30ml Bushra EDP for Women by Rasasi. Mehrab oil is an magnificent blend of sweet rose, saffron and smoky amber.